The Home Language Campaign Mini-Grant awardees wrapped up their projects at the end of January. Here are some final report summaries from the four organizations and the amazing work that they did in the past months! Chinese Information and Service Center (CISC) promoted parents/caregivers’ awareness in multiculturalism and bilingualism through two parent workshops: “Knowledge of More Than One Language Helps Build the Child’s Brain” and a parent-teen conversation. Through CISC’s culturally relevant parent workshops, teens were able to share their stories and help parents and grandparent understand the struggles, difficulties and barriers that occur during the life journey of a bilingual and bicultural child. The sharing of these stories greatly impacted the participants’ lives as they learned to adjust their parenting styles so that they could nurture and motivate their children to learn their home language, while strengthening their parent-child relationships. See their photo report here: CISC Photo Report. On Saturday, 9 January, The World Mind Creation Academy (WMCA) facilitated a youth led celebratory event hosted by the G.O.O.D Girls of Rainier Vista. The girls coordinated a day of cooking, storytelling, and cultural celebration with parents and caregivers within the community. With the guidance of dedicated adult mentors, the youth developed separate planning committees, prepared decorations and costumes, planned an international menu, and designed personal invitations for community guests. The youth also prepared a performance to showcase the various languages and cultures present. 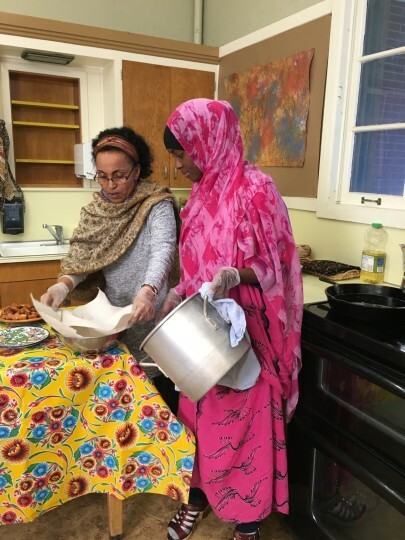 Attendees cooked traditional dishes and participated in a rich and aromatic intergenerational and cultural exchange in the kitchen. The parents were so moved at seeing the youth honor their traditions, they decided to join them on stage. By the end of the evening, all of the attendees were dancing to the music and singing old, forgotten songs from the motherland. 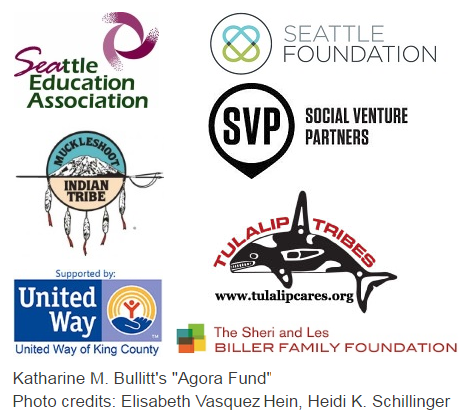 Maple’s Family Engagement Action Team (FEAT), in partnership with our Parent Teacher Student Association (PTSA) hosted a Native Language Literacy night event on Thursday, 14 January. Eighteen families with their children attended the event. Parents were able to have small group conversations and the opportunity to ask questions in their native language. At the end of the presentations, parents met their children in the library, picked a book in their native language and practiced one of the comprehension strategies with their children. It was amazing to see how engaged the families were while reading with their children. To close the event, they raffled five books in Cantonese, Spanish, Somali, Vietnamese and Tagalog. Based on survey results, all families found the event to be useful and some wanted to know if Maple could provide before or after school classes for their children in Chinese and Spanish. Two teachers assigned cookbook recipes as their class projects. Students spoke with their families in their home language about a significant cultural recipe and stories about the recipes which were then translated into English. Staff and volunteers chose the recipe and story combinations that were most ready for print and students were chosen to film a cooking video. These videos provided a cultural glimpse into the lives of our student’s families. A potluck and video sharing was presented during the school career fair day during the lunch period. Students and visitors to the school where able to ask questions on the project and learn more about participating in the future. Check out their video here: Culture Cookbook is Coming. Seattle World School is working on a final print product that will be ready for distribution at the school culture fair in May.